And yet, the more I thought about it, the more convinced I became that it was wrong. 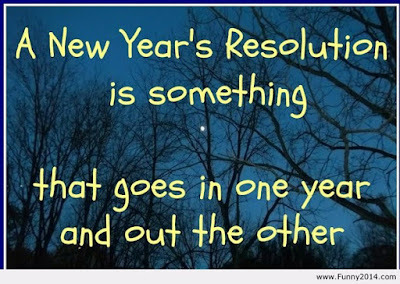 New Year's Resolutions don't go in one year and out the other, because that would imply that they lasted the year. 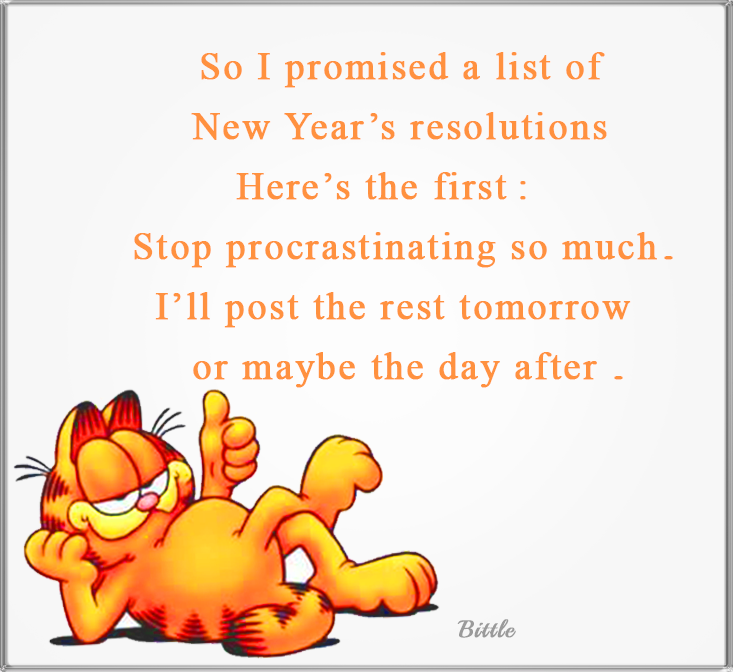 Most resolutions barely last the first quarter if not month, week, or day of the New Year. Resolutions are noble ideas, even laudable; but most are doomed to fail because people don't do the right things to ensure that the resolutions have meaning and are attainable. Perhaps tomorrow I'll share some details in what I mean by that. In the meantime, how do we make this line more realistic, but still funny? Any suggestions? I would love to see them. Comment below to let me know.